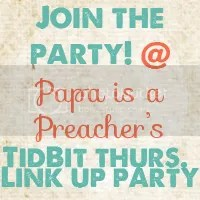 It’s Thursday and time to link up again. I’m curious to see what everyone has been up to. Hi Larissa! Thanks for inviting me to link up. I am following you as well. Glad to join the link party! Happy Thursday all!